ysabetwordsmith | Poem: "In the Orbit of Your Destiny"
Poem: "In the Orbit of Your Destiny"
This poem came out of the December 5, 2017 Poetry Fishbowl. It was inspired by prompts from bairnsidhe, librarygeek, and helgatwb. It also fills the "junk" square in my 12-3-17 card for genprompt_bingo the fest. This poem has been sponsored by janetmiles. It belongs to the series An Army of One. Warning: This poem deals with mobility impairment, PTSD, and other disability issues in space. If this is touchy territory for you, please consider your tastes and headspace before reading onward. "In the Orbit of Your Destiny"
really, but some even less than others. but it still came as a surprise. to walk and breathe at the same time. needed a zero gravity environment. but its crew quarters still intact. more convenient to Sargasso Base. the place so it no longer looked like a tanker. They'd gotten good at making things from junk. of navigable strands for people to climb. 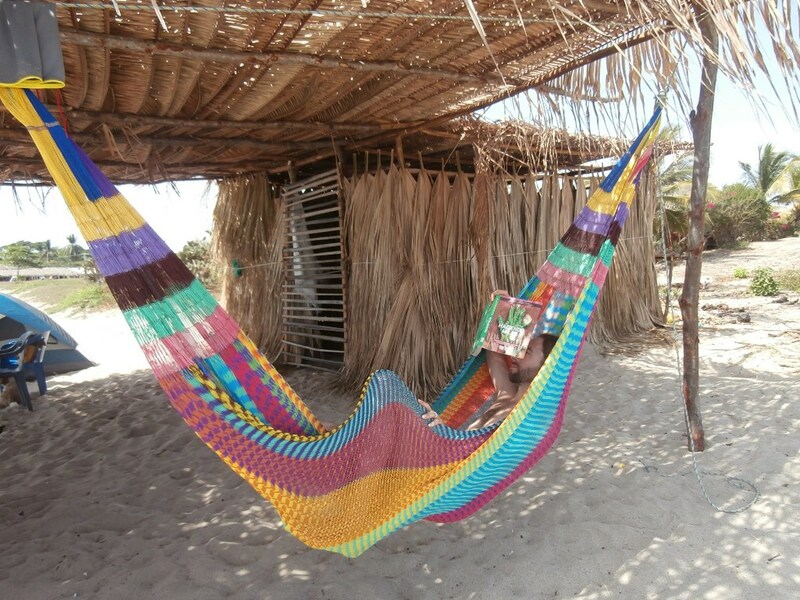 wraparound hammocks and heather blankets. was actually on fire to put in the main hall. and invited everyone to come in. clinging to the nets and each other. even strangers if your skin was hungry. that flowed from the hearth grill. old joints no longer limiting his motion. as a monkey despite his crooked legs. "It feels so good to be free again,"
Gimbal said as he twirled lazily in place. weightlessness is the only result." Donly -- a neuroambiguous toddler with crooked legs who arrived as another refugee in his mother's arms and cannot actually toddle. He moves to the Rondure for better mobility. Introduced in "In the Orbit of Your Destiny." Vesper -- a neurovariant man whose decompression scars make it hard to walk and breathe at the same time. He moves to the Rondure because moving in zero gravity requires less effort, thus improving his mobility. Introduced in "In the Orbit of Your Destiny." The Minotaur -- a tall burly man who manages Sargasso Base, a graveyard of derelict starships in the Lacuna, formerly belonging to the Orion army. He is neurovariant. He has a coarse, inexpressive face and thick fingers. Sargasso Base is located at the Lagrange Point 5 of a rocky planet and its battered moon orbiting a white dwarf star. This is the one location known to everyone, and a source of valuable salvage material. He is a brilliant mathematician, capable of constructing and balancing intricate equations to keep the many ships and other pieces in a stable configuration. He also has an exquisitely delicate touch on the tractor and pressor beams. His passion is mythology, and he customarily expresses himself in those metaphors. His is adamant that his name is pronounced MINE-otaur not MIHN-otaur, and he often drops into obscure digressions when conversing with people. He views himself and the other neurovariants as mythical monsters, and neurotypical people as ordinary mortals. His use of "monster" is partially a reclaiming but also partially internalized discrimination; and that's true for much of the rest of his constructed worldview. He does not get along fluently with neurotypical people, and tends to hide from them. When the other secessionists ask him for help in providing salvage and a common meeting place, though, he agrees -- and he assures them that the military won't be a problem. He first appears in "Invisible Lines," reappearing in "Conscientious Objectors." OCS-223 -- the AYES of a jumpship originally from the Orion-Cygnus army. (That army uses the initials OCS in serial numbers for Orion, Cygnus, Ship.) Abandoned at Sargasso Base as derelict, it plays dead until after the secession, when it starts an argument with the Minotaur and a formerly Carinan jumpship, the Cruiser Falconwing P42. The OCS-223 disapproves of the secession. Introduced in "Conscientious Objectors." Weavercreep -- a man of average height, toward the thin side, skilled in writing and modifying computer programs for the Orion army. He is fairly young and neurovariant. He helps his girlfriend Operetta invent the velveteen gloves made from nanofiber that make it possible to transmit physical sensations long-distance. He does not have trouble making eye contact, but does have trouble verbalizing his emotions toward other people. So he often expresses himself in oblique terms. His handle likely derives from "weaver" as a reference to programming, and having been called a creep frequently by neurotypical people. As the Lacuna turns to recycling for survival, he discovers fibercrafts. Introduced in "The Velveteen Gloves," reappearing in "Experts Talk Logistics." Novalie -- a neurovariant woman with anomic aphasia. She can speak, but she can't remember the right words, so she chooses not to speak most of the time. Her husband Taj respects that. Novalie is an artist. She moved to the Lacuna from Epizygis due to persecution. Introduced in "No Measure of Health." Gimbal -- a neurovariant man, a veteran with stiff joints. He moves to the Rondure for better mobility. Introduced in "In the Orbit of Your Destiny." "Once you are in the orbit of your destiny, weightlessness is the only result." Compare different models of disability. The medical model is useful for pursuing ways to fix physical problems. The social model is useful for enabling people to live more meaningful lives. Space exposure is one type of decompression sickness or barotrauma. Lung injury is one common result, which sometimes results in permanent disability of varying degrees. Due to the prevalence of uncontrolled decompression in space combat, these are signature injuries of extraplanetary warfare. You can design and make your own curtains. Thread them onto a frame to make privacy screens. Note that if you are hanging curtains or other screens in a gravity well, you only need to secure the top end. In zero-gravity, you must secure at least two ends in order for the fabric to stretch out. Many terrestrial patterns for privacy screens have single-channel curtains, rather than the double-channel kind you need in space. 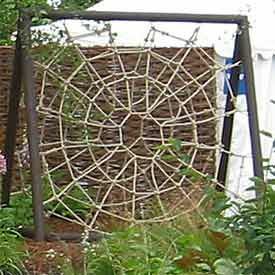 Rope can be tied to make cargo nets or spiderwebs. 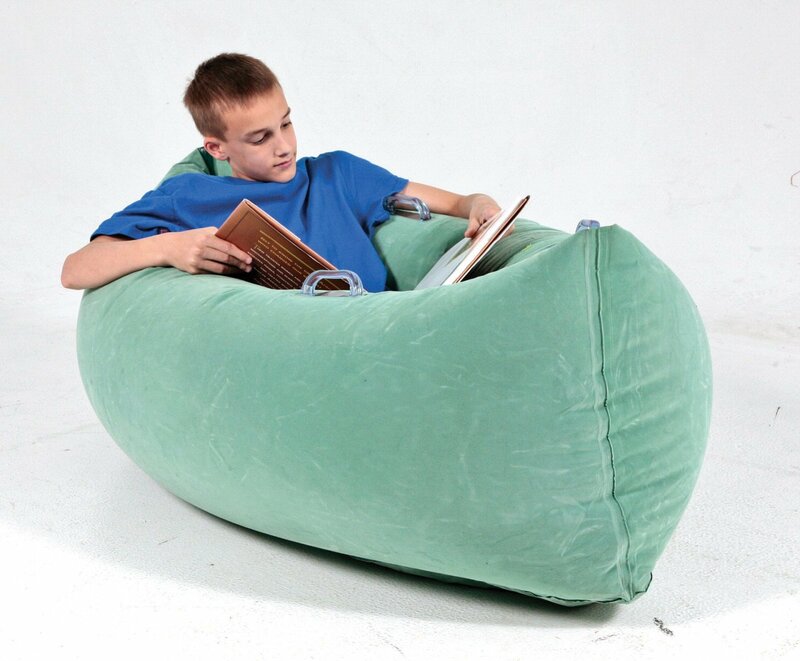 A peapod lounger works great in zero gravity because the puffy sides help hold the user in place. Similarly, a wraparound hammock can be closed over the user. Often when you recycle fibers, you get heather, as in these blankets. 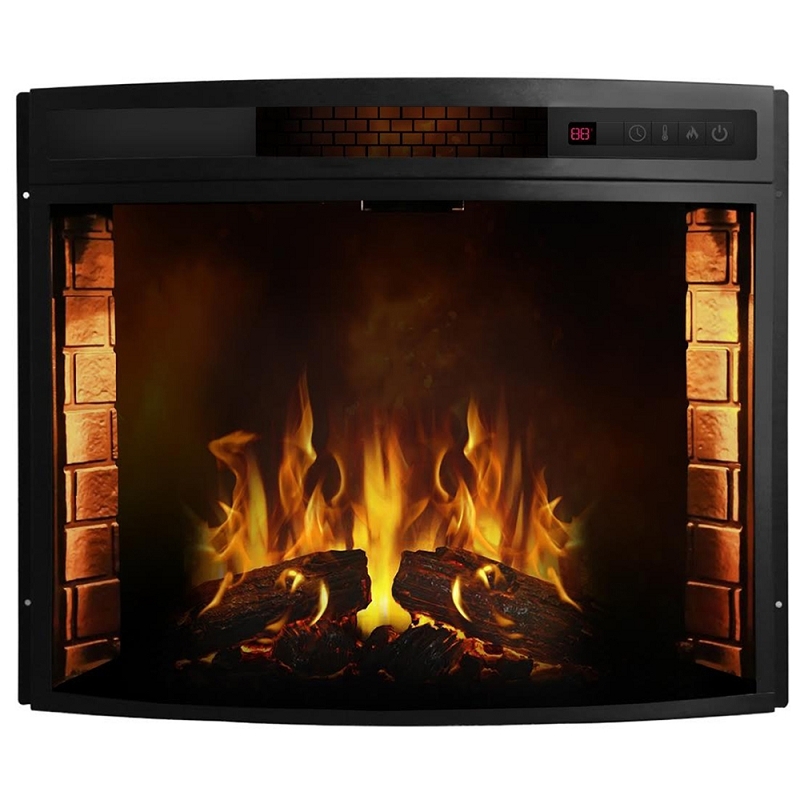 A digital fireplace can be as simple as a viewscreen with a good video of a fire, or as complex as a large freestanding hotbox that blows warm air through vents around a viewscreen. I had never heard of serial poetry until this. Interesting idea, and I like the element of story to it. Long before the fishbowl, I had a few examples of related poems. Not long after I started the fishbowl, however, fans started requesting the return of favorite characters, and so the serial poetry developed. It is organized here. This is the page for An Army of One, to which the current poem belongs. I've also done a series on how to write serial poetry. She's got some LOOOOOOOONG strings, some of them themselves epics (3-400 lines or more)... we keep encouraging her, she keeps writing. She talks good story. technoshaman's note reminded me that I should warn you my writing has been described as "flypaper for eyeballs" and some of the series are now novel-length. I recommend browsing when you have some free time available, rather than to kill 5 minutes. Oh, that reminds me about other folks writing in my settings, chiefly dialecticddreamer and siliconshaman, but various others as well. Yeah; I fell behind on those two; it's probably going to take me weeks if not months to catch up. Yes, the trend is toward more poetry written and purchased this year. Doug's suggestion is that instead of January-June / July-December, we make it January-July / August-December. The Holiday Poetry Sale has gotten so big now that it has the latter half of the year pushing what will fit on a comb. >_< Some problems are nice to have, though. For which my bank account thanks you! :D We went out shopping again today, and it's thanks to the holiday sale we could afford to do stuff like that. I got home not all the long ago and have been working my way through the messages. Thank you SO MUCH! Hee, I updated the point post, you might get a kick out of that. Once you are in the orbit of your destiny, weightlessness is the only result. Ooooh. Yes. I find my mundane job.... *work*. Doing the Work, however, is energizing. "I sought my soul, but my soul I could not see, I sought my god, but my god eluded me; And then I sought my sisters and my brothers, and in them I found all three." • Many terrestrial patterns for privacy screens have single-channel curtains, rather than the double-channel kind you need in space. > Channels: the tube(s) that the rods go through? >>• Many terrestrial patterns for privacy screens have single-channel curtains, rather than the double-channel kind you need in space. Some aspects of this remind me slightly of The Stars My Destination, by Alfred Bester - particularly the idea of the cluster of space wreckage becoming a home for strays. The Space Sargasso, or derelict graveyard, is a classic trope. Among my favorite renditions is Nimisha's Ship. I have found this to be true. Even spacers, who tend to be very resource-conscious, have to contend with shipping costs. A key reason for the Sargasso is simply that they had neither the funding to ship broken things all the way back to the Arms nor to set up a full reclamation center in the Lacuna.